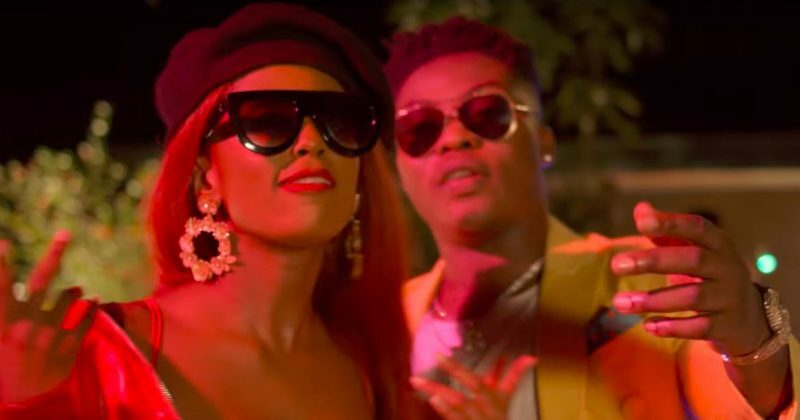 Vanessa Mdee and Reekado Banks have teamed up for yet another love song after their initial collaboration on Reekado Banks’ “Move”, released over a year ago. Vanessa Mdee’s new single, “Bambino”, backed by the Reggaeton fueled beat E-Kelly produces is an unofficial rejoinder for the story that began on their last single. In between the throbbing bass of the drums that listen like they represent the Tanzanian singer’s vital signs, she croons sweetly, interpolating lines from Whitney Houston’s “My Love Is Your Love” to profess her feelings to a love interest who she “Call(s) Bambino When (She) Looks into (Their) Eyes”. The lyrical concerns she keenly articulates in a mix of English and her native dialect are further emphasized by Reekado Banks on the last verse, also incorporating a few indigenous lyrics as if to show the extent of his love. The video Director Q directs is bright and warm, even at the night scenes where Reekado Banks appears in a party where dancers show off the beat’s dancefloor niceties. You can watch the music video for Vanessa Mdee and Reekado Banks’ “Bambino” below.